The Little Farm for your s60v5 device. Contains six different FARM sounds. Have Fun! 25 Clock For Symbian Phones V ..
Mazescrawl For Symbian Phones .. 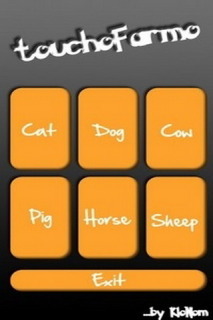 ShotGun By Klonomdev For Symbi..
DogWhistle For Symbian Phones ..